Have you ever been to the Utah Cultural Celebration Center? It&apos;s a fun place to visit year-round because they always have something interesting going on. 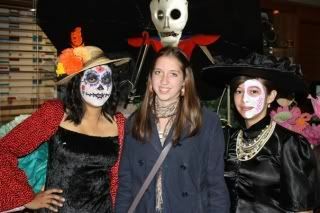 Most recently, we attended a Dia de los Muertos celebration, complete with free performances, free crafts, free bread, free exhibits and free pictures with people dressed up for the occasion. 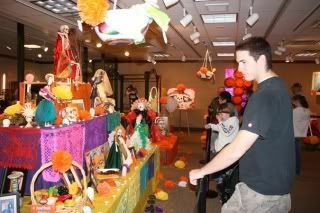 The center hosts changing exhibits that correlate with the season and holidays. Free performances by local amateur and professional groups can often be seen. (Did I mention the FREE part yet?) It&apos;s a place we go visit several times a year and right now is my favorite time of year there. Nov 18- Dec 20: The annual Trees of Diversity exhibit. You can see a room full of themed Christmas trees made by different organizations. Most organizations go all out in their decorating and the trees are really interesting to see. Sat., Dec. 4, you can visit a World Market and buy Christmas presents from all different cultures. Mon., Dec. 13, there will be a Bonnie Harris Christmas concert. I am on the email list and get emails every week telling me what is going on out there. I would highly recommend you do the same. There is always something fun and interesting to see!